3545 Wilshire | Cary Kopczynski & Company, Inc. 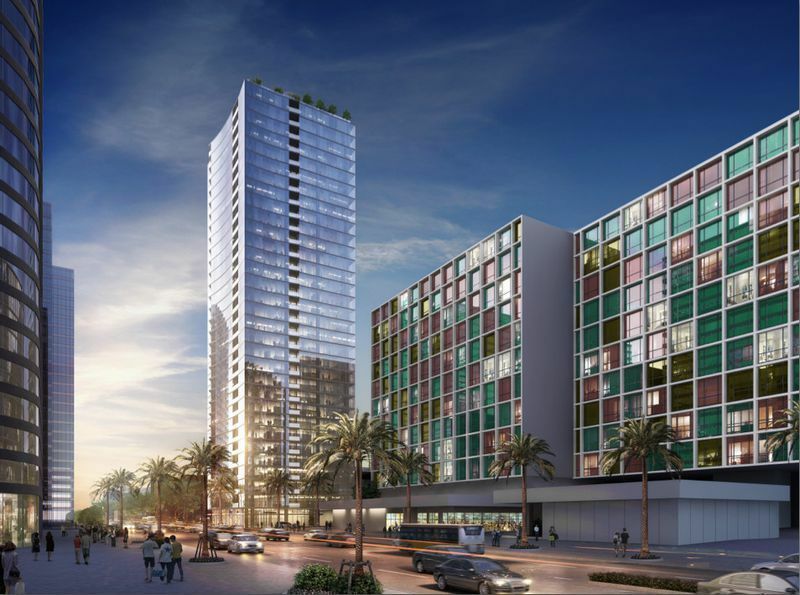 The 3545 Wilshire project will incorporate a 14-story and 26-story residential tower connected by a five-level parking garage. 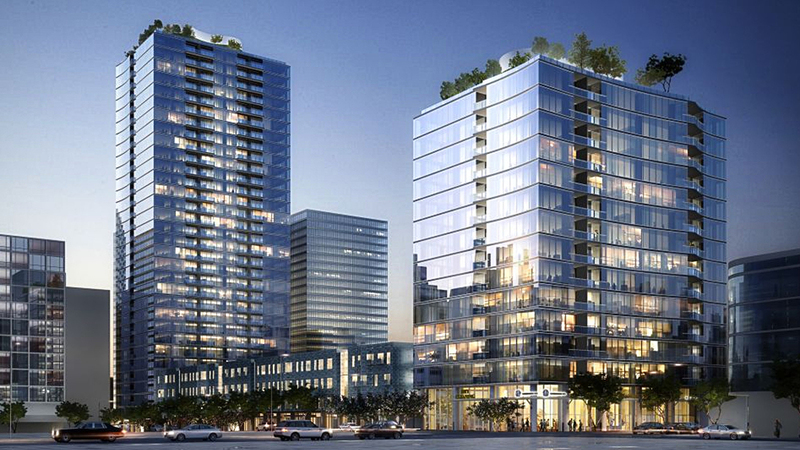 The residential towers will feature 428 luxury condominiums, and rooftop pool with amenities. The total gross area of the project is approximately 835,000 square feet. 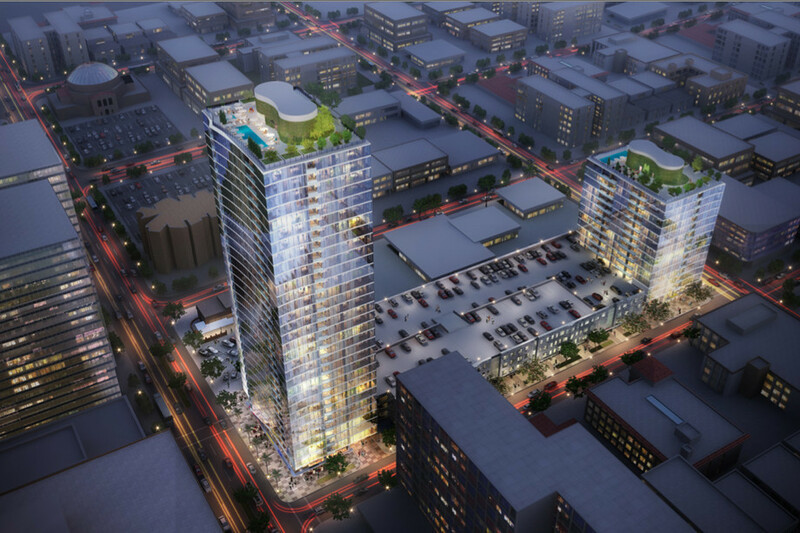 The structure will consist of cast-in-place concrete with post-tensioned flat plate slabs at the towers and one-way post-tensioned slabs/beams in the parking garage. All three of the structures will be seismically jointed from each other. At both towers, a special reinforced concrete shearwall core is designed for the lateral force resisting system. Due to height limit for the 31-story tower, CKC will perform a non-linear analysis and Performance Based Design through a peer review process to justify the central shearwall core system. The project will be ultra-efficient, both in terms of material usage and spatial requirements.